Our Home Before Photos – I’m sharing before photos of our home BEFORE we moved in and did any work on it. 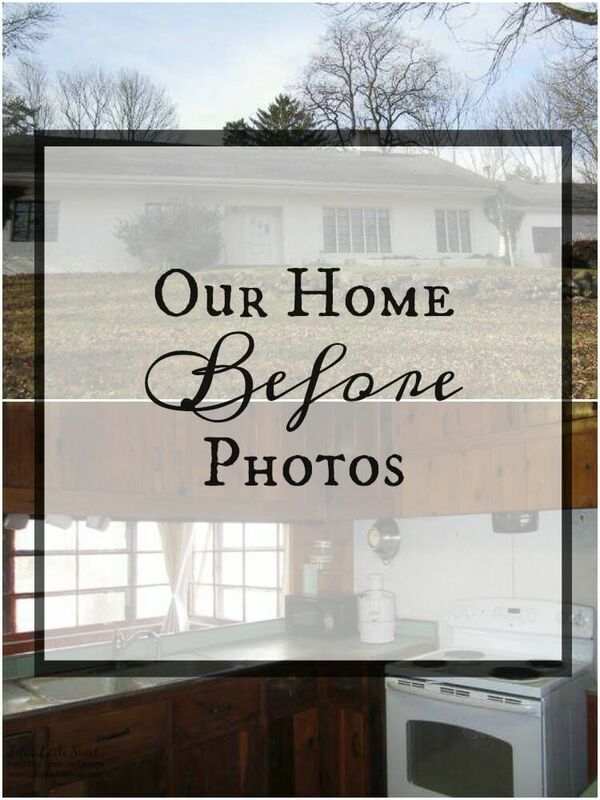 I have been sharing renovation and home related posts on the blog and to tell the story right, I need to share the point from where we started with our house to give a better context. 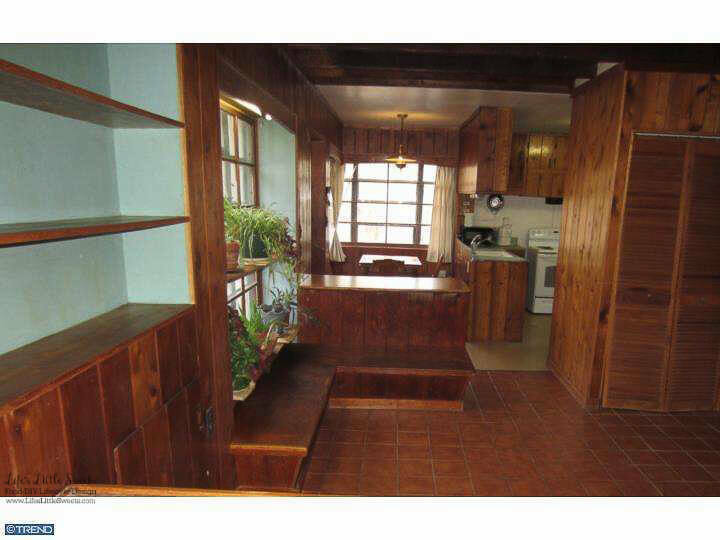 These photos in this post were provided by the realtor and show the house we live in BEFORE we moved in with the previous owners things in it. 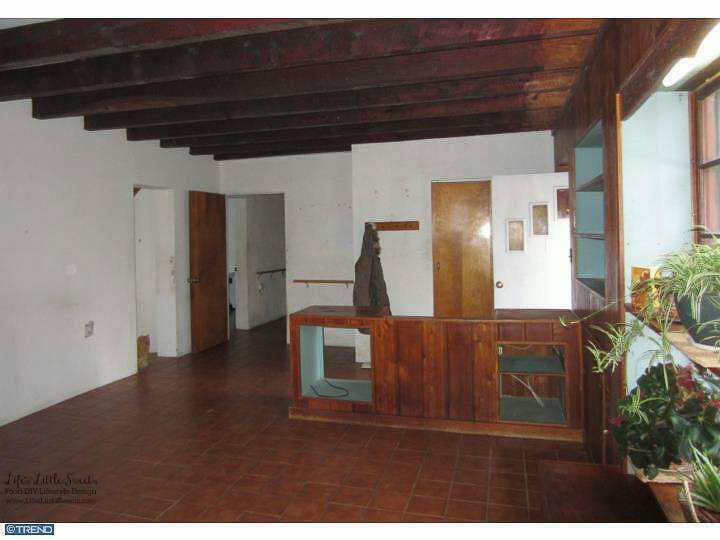 I haven’t looked at these photos in the 3-3 1/2 years since we started looking for our house and WOW, the difference from where we started to the place we live in now is SHOCKING. It’s almost like a different house. We have changed many things on the outside and many more on the inside. 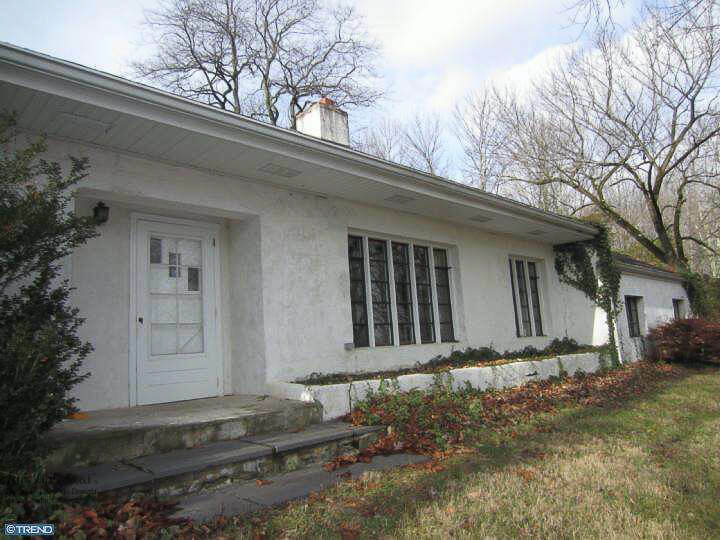 My husband Eric found this 1955 Mid-Century Modern-style house on Zillow and believe it or not I did not set foot in it until it was under contract. I put a lot of trust into Eric to find our house. I was heavily pregnant with our daughter at the time and also working full-time out of the house. This move was pre-Life’s Little Sweets! I didn’t start the blog until almost a year later in March 2015. We moved to this house in late Winter, nearly Spring 2014 from another home in Central-almost South New Jersey which we still own as a rental property. 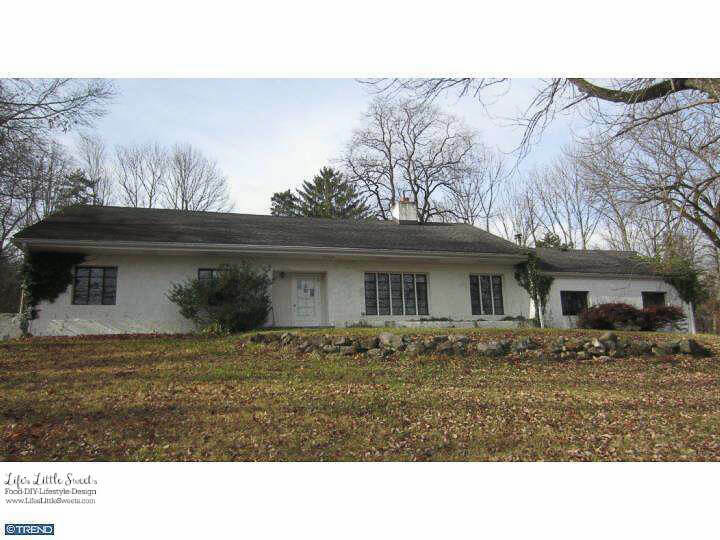 We wanted to sell it but the market for that area works out better to keep it as a rental, so we did. Eric had to do so much work to our “new” house before it was even fit to move in, it needed to have walls ripped out (he filled a whole dumpster! ), it had mold/water issues, needed a new septic, there were several dead/nearly dead, large trees that had to be removed because limbs were falling on the roof, every room was dated in terms of decor/color, the heating system needs an upgrade, it needed new windows to replace the single-pane, original casement windows and the list goes on. I know what you are thinking, with all that work that needs to be done…why on earth would you want to move into this place?! 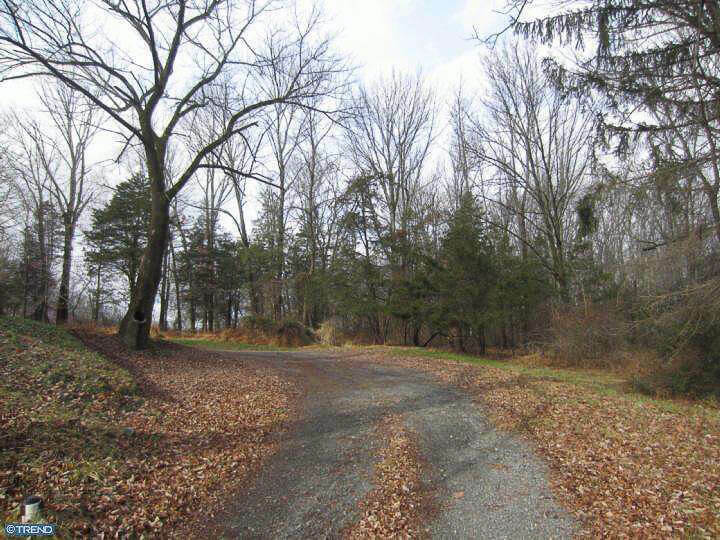 1) It’s located in a GREAT area, GREAT school district, close to historical areas, parks and quaint towns plus the Delaware River. The local amenities are abundant. When we lived at our old home, we actually would drive over an hour to this area every weekend we could just to hang out that’s how much we love this area. It’s beautiful countryside with horse farms (I used to have horses and ride) – what’s not to like? 2.) It’s close to family, 3 miles from Eric’s sister’s family and his Dad and 35 mins. from Eric’s mom and closer to many of his friends. 3.) Familiarity: It’s one county over from where Eric grew up, this area is very familiar to him and now me (remember, I’m from New England). 4.) 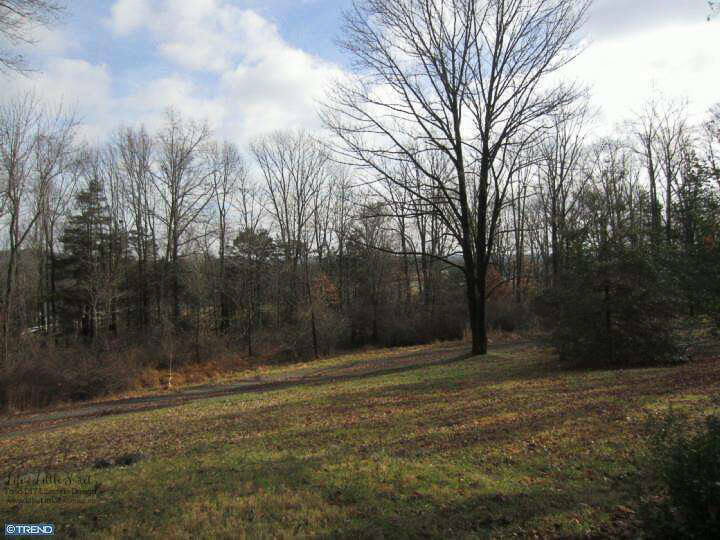 It has some land: the lot is almost 6 wooded acres, we have privacy and are set back from the road unlike our former house where we were too close to the road. It has enough land to be considered a farm if we wanted to do that. 5.) Eric’s really handy, he’s renovated our old house and others, can do electrical, plumbing, he’s creative and can do almost everything else plus I used to be a practicing architectural designer so between us both, this seemed like a fixer-upper that we could handle (we’ve certainly had our moments with this house!). We had a vision of what we could do with it so we took a leap of faith and oh what a leap that has been! Some people build new, some people move into a new house, we moved into an old house and chose to renovate. I totally understand why people would go those other routes because if you are not handy, it is costly to get all the work we have done (mostly Eric, both of us and family pitched in at times to help). We saw an opportunity to make this unique home our own. ☕ It’s a long post (23 pictures & 3000+ words), so grab your coffee or tea and pull up a chair, let’s dive right in and I will give you a tour of the house and yard before we moved in! Front of the house, we have since painted the house a beige color with blue doors and light green trim accents. This is the front of the house. The 2nd Summer after we moved in he painted it a new color because the white was too harsh, especially when the sun was shining. It you weren’t wearing sunglasses outside you would be blinded! We (meaning Eric) painted it with historical colors (I chose them!) that gave a Provencal-Mediterranean vibe since it’s a concrete house. It is now a beige color with a bright blue door and neutral light green accents.
? This Instagram post shows the newer door color. I often post photos of our yard on Instagram, you can follow along there to see lifestyle content that I share. On Snapchat, I share a ton of renovation and daily updates too. Eric removed all the ivy vines growing on the house because the roots were damaging the exterior and he did a lot of patching and repair work before he could even paint. He also removed any foundation plantings and cleaned up the exterior, again because they were over grown and the roots were growing into the foundation and blocking the windows. A lot of the changes we made to the house were cosmetic and it’s amazing how you can change a space by cleaning it and providing a fresh coat of paint. This is the back of the house. It would be great to do a patio off the back for outdoor entertaining. We removed the stone planter gardens and the vines off the house to clean up the look of the outside. I keep containers that I plant in with my daughter. You can see how we have decorated those here. This Spring-Summer, I also plan to do a raised-bed kitchen garden to grow herbs and vegetables, keep a look out for that update. I used to have a kitchen garden at our old house and it was wonderful. It think it would be great to grow ingredients to make recipes for the blog and teach my daughter about gardening. These 2 large trees (above) are now gone. We love trees but they were shedding branches on the house even to the point where the gutters got knocked off. It was only a matter of time before one of them fell on the house. There’s more light that comes into the windows now which is nice and we still have plenty of trees surrounding the house and the woods. There is a garage under all those ivy vines! This is the garage that’s now Eric’s man cave/workshop. 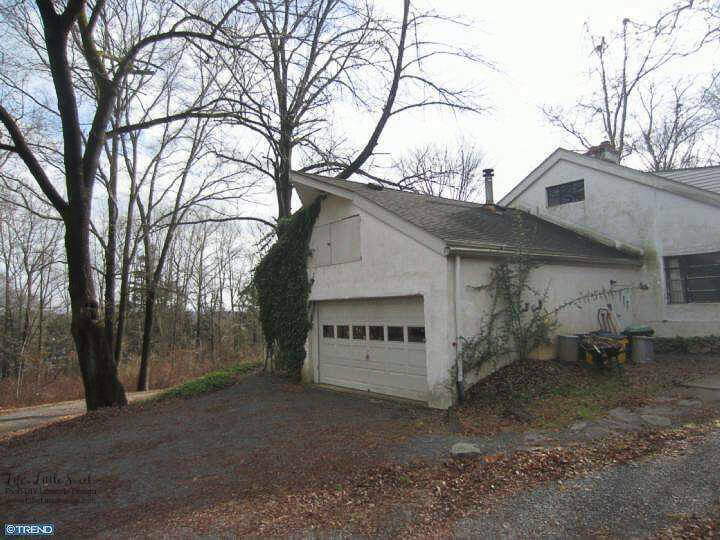 It’s a decent-sized garage that you can fit 2 smaller cars inside and there’s a work bench. He does metal fabrication, woodworking, car repairs and just about everything else in there! It’s hard to see but there’s a side door to step down inside. We have since added more gravel to the driveway (it probably needs more at this point) and eventually we would love to pave it not because we like paved driveways but it’s virtually impassable when it snows a lot and HARD to have plowed because of the gravel and unevenness. We have a LONG driveway, it’s like it’s own road, so paving it will be “down the road” for us. Sorry, couldn’t resist the pun ? That large tree is now gone, it shed limbs onto the driveway when we first moved in so, it was removed as well. I miss all the trees but we still have many and we can always plant more in better locations. Brace yourself! We are about the go inside! We enter through the back doors (there are 2) into the “family room” and it flows into the breakfast nook/dinette and kitchen area. 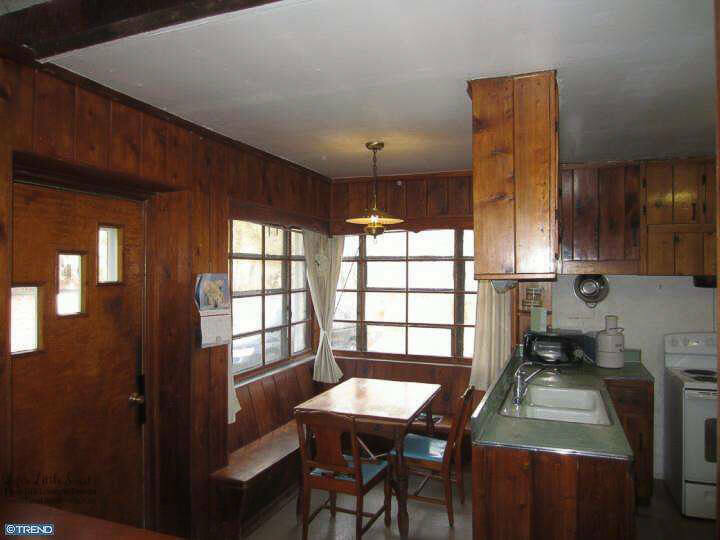 There’s a lot of (at least it real) wood paneling. All that wood paneling is now GONE. For those of you that are into “capsule” historic home, this was kinda one of them. It wasn’t updated since the 80’s and I am not sure what was updated in the 80’s but nothing recently so it was like a blank slate in a lot of ways. We painted all the wood paneling in these rooms initially to a lighter yellow color since this room was so dark with all that wood. 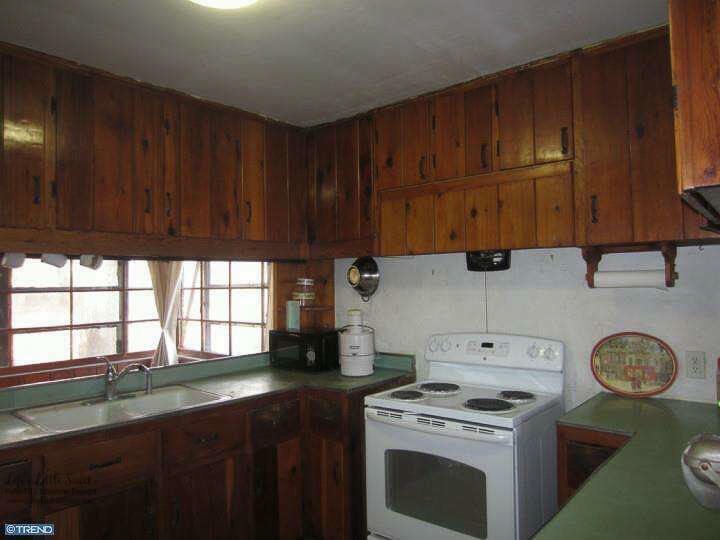 About a year ago we ripped out the wood paneling and breakfast nook and most of those hanging cabinets to open it up. 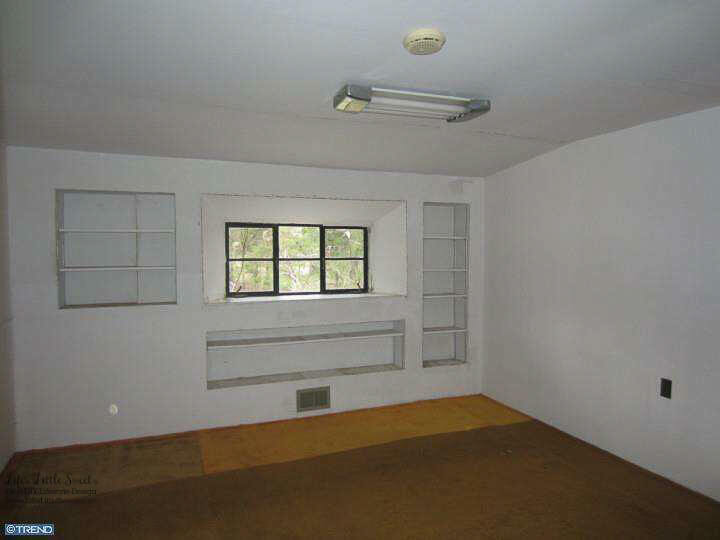 You can see that the wall is built out about a foot from the exterior wall to make bookshelves, cabinets, etc. When Eric ripped out those wood paneling built out walls, it made the room bigger and more open with more light. The above photo also shows the laundry closet on the left. We eventually got a new washer and dryer which was very helpful when I had my daughter with all the laundry. The washer that came with the house used to get out of balance and make a lot of noise which was so hard to live with so that didn’t last long. 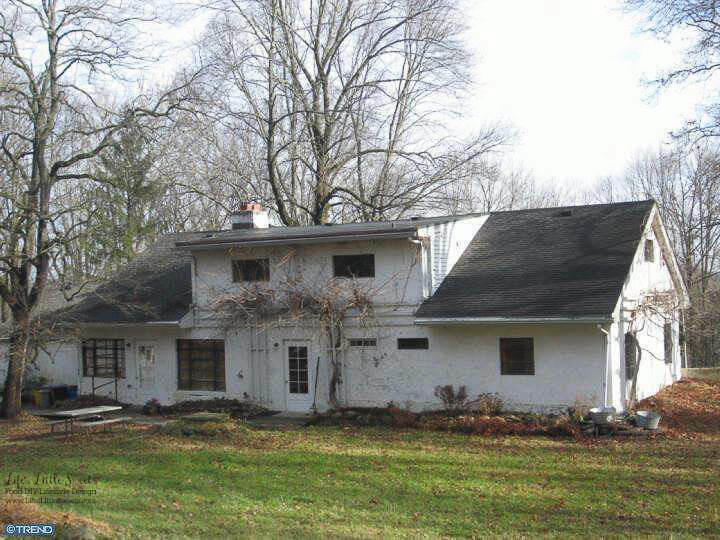 This Mid-Century Modern house was designed and built in 1955 by an engineer for his wife and family of 5 children. We are the 2nd family to live in this house which is kind of amazing. When I am in this house, I think of this family and how it was their family home for so many years and I think about the 5 kids playing and how now Eric and I are here working on it and raising our family. I do have some old photos of when the house was being built and a whole file of drawings that the engineer father made. I’ll have to share those sometime. There were a lot of cabinets but they were very tall and hard for me to reach without a step ladder. We also discovered there were mice living in the cabinets after moving in, so that was a huge motivation to remove them and now we are in the last months of our kitchen renovation and soon will be getting new cabinets. ?I will keep all kitchen renovation related posts HERE. Eric recently removed the ceiling in the kitchen, exposing the beautiful beams underneath. What an asset! 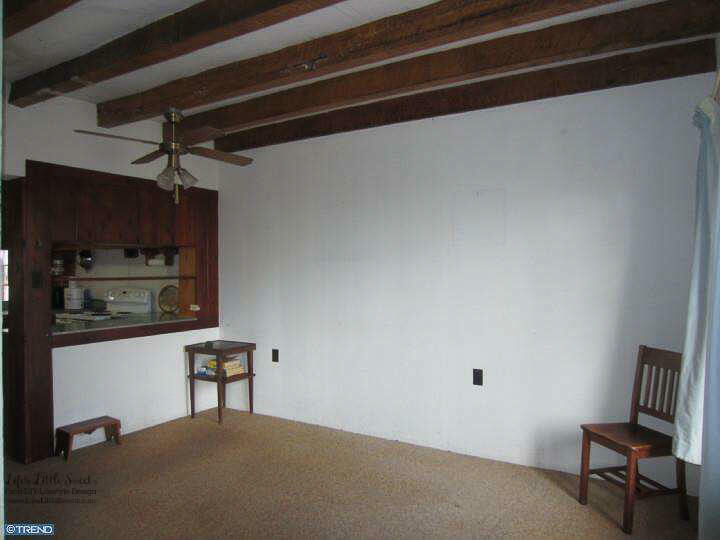 Below is the original dining area showing the “pass through” opening from the kitchen. We never used this area as a dining area. 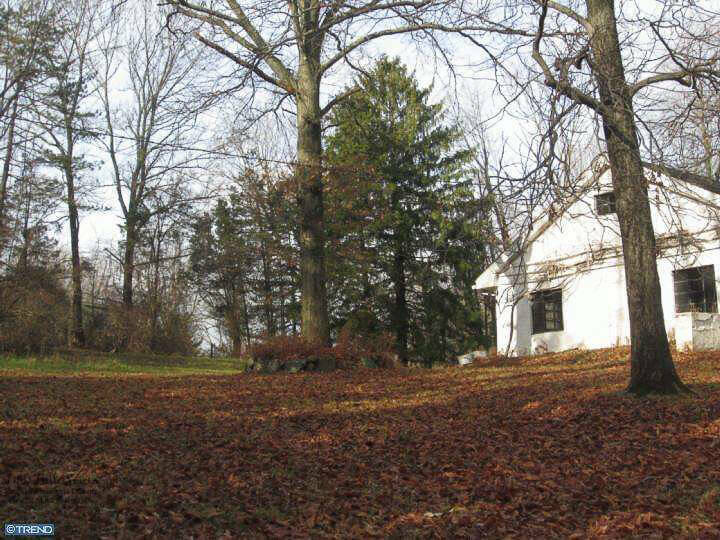 We always used the area where the breakfast nook or the family room was because that’s the side of the house where the sun sets and there was more room. It’s interesting to think of how people use their homes differently than they used to 62 years ago. Looking at these pictures, is like a history lesson. The dining room which shows the “pass through” window from the kitchen which has since been removed. The dining area flows into the living room area. In a modern home, the spaces are more open and flow into each other and this house was designed to start doing that. We opened up the kitchen area so that area was finally liberated too. 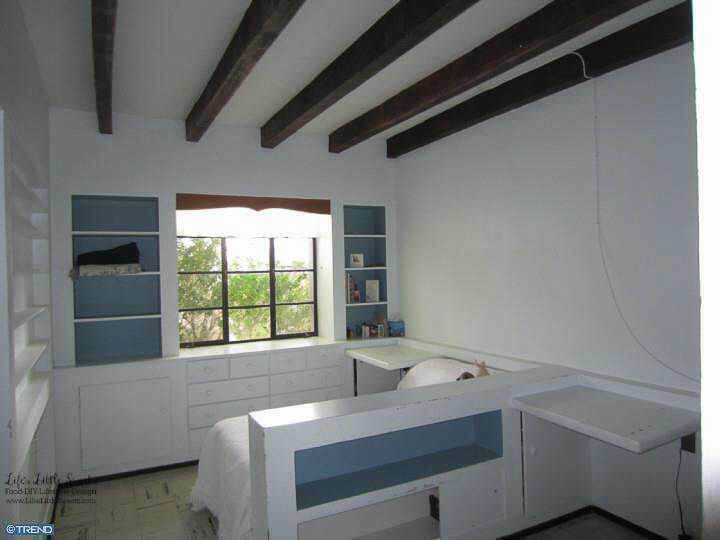 The entire home has these amazing structural beams throughout the first floor. Eric recently has been sanding them in the kitchen area and he wants to do then rest of the beams in the house too. We have since replaced all electrical fixtures and are redoing the electrical now in advance of our new kitchen. Below is the living room. It shows the old metal casement windows well with we have since had replaced. They were very drafty and it was COLD the first winter we stayed here. There were many nights we camped out in the living room near the fire. We have since added a Vermont castings wood stove to help supplement the heat which is an early version of radiant heat. The radiant heat is awesome in theory but this old system is not efficient, it leaks because it’s forced hot air. The system is a custom system that was designed by the original owner and it just really needs updating. So a new heating & cooling system will be needed. That’s the next major project after the kitchen renovation. Up keeping an old house never ends, right? 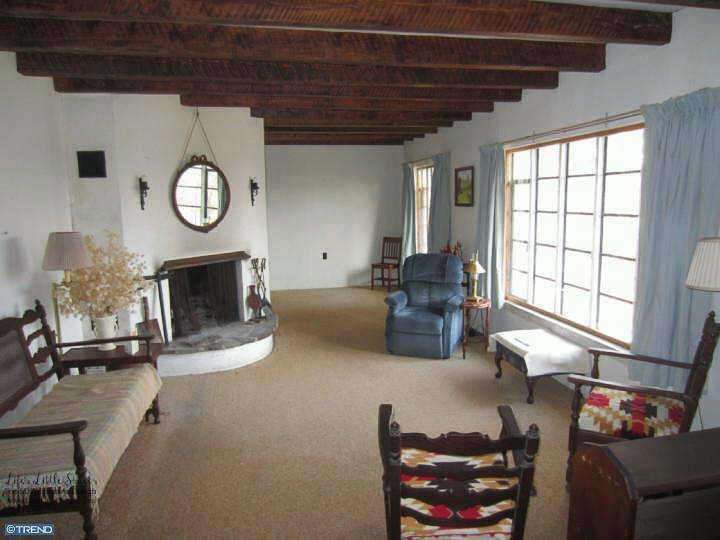 The photo below shows the family room (or at least that’s what the original owners always called it) taken from the breakfast nook area. 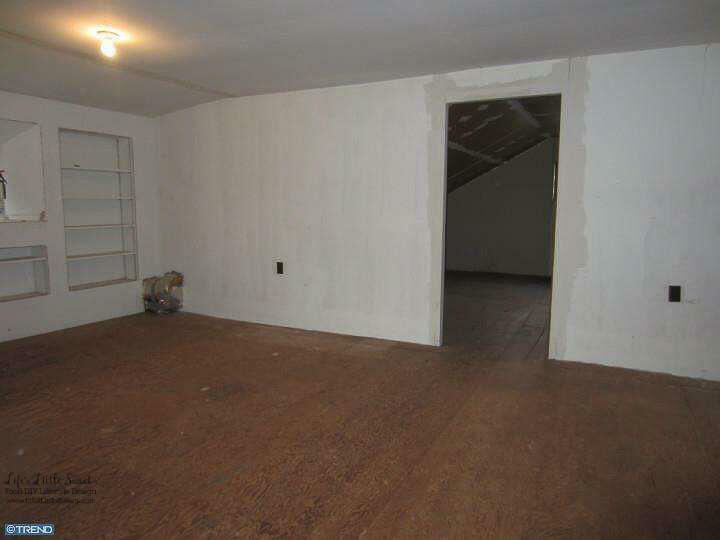 It’s really a large mud room area that houses a laundry closet and coat closet. We use the area as an extension of the kitchen, we kept the laundry closet there because it’s central and convenient. This area now looks very different and we will probably have our dining room table here. While our kitchen area is sealed off for renovation, our “temporary” kitchen is here by June 2017, it should be back to normal. The family room which has a laundry closet, coat & shoe closet and we will use it as an extension of the kitchen and dining room area. 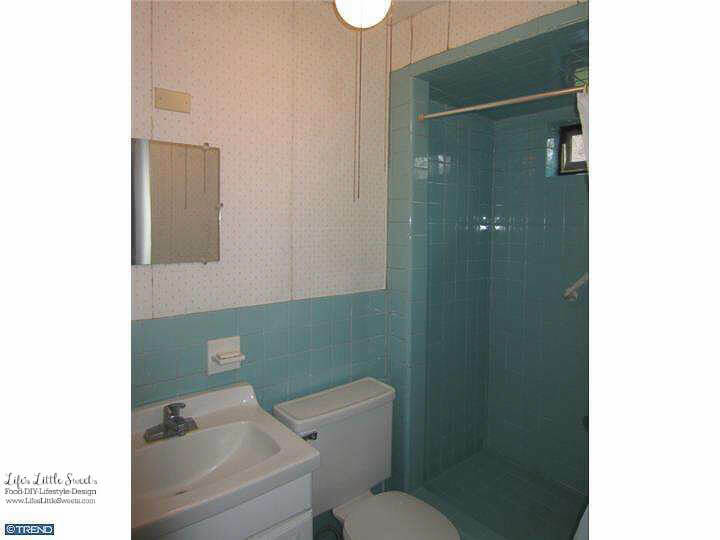 The aqua 3/4 bathroom is off the family room and this is how it looked before we moved in. Eric removed the wall paper, painted (I helped) and replaced & light fixtures the sink. This is the small bedroom. Eric told me when he saw this bedroom, he thought it would be the perfect room for our baby – after we fixed it up of course! There are lots of built-in which we kept and have been convenient for this room. Eric removed the two desk tables on the right side. 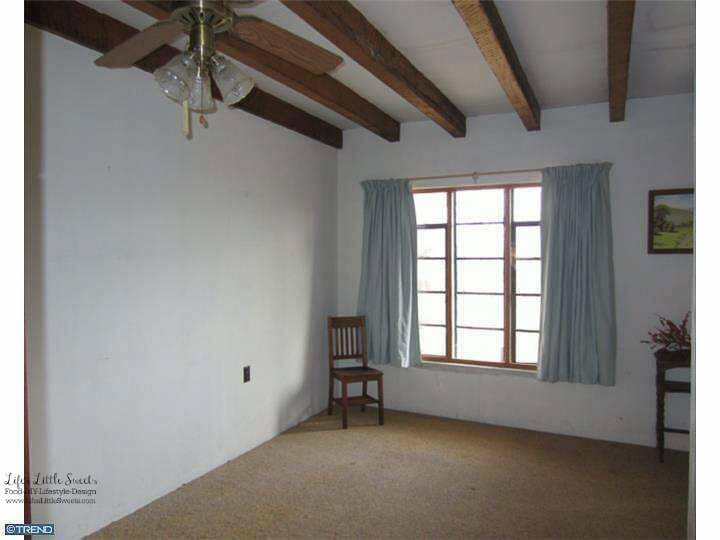 This was originally the room for the 2 boys of the family who lived here before. I recently did a new photo wall in this room. We’ve done a lot of cosmetic changes to this room like painting the ceiling, walls, closet, new lighting fixture, built-in & floor. We’ve changed the hardware on the drawers to a brushed nickle. I’ll have to share the photos I took of it when it was first make into a nursery sometime. That was my creative project before I started this blog. The room has since been more “toddler-fied” as our daughter has grown. Time flies fast! 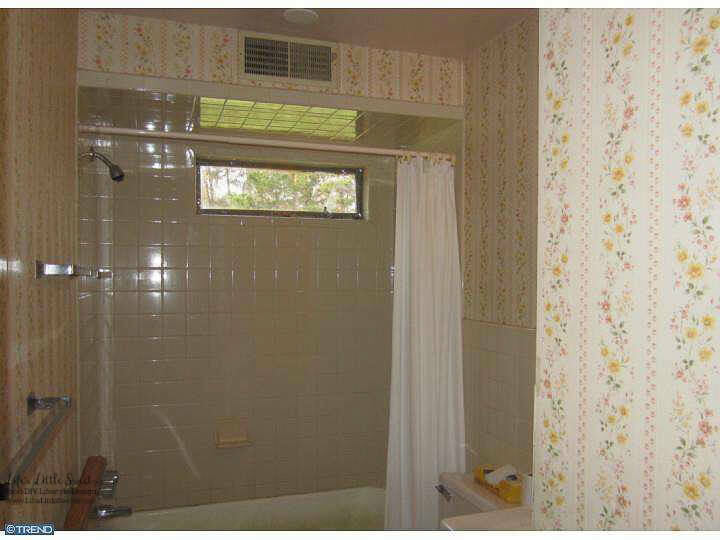 This is the full bathroom near the bedrooms. Eric removed the wall paper, repaired tile, changed the sink, toilet and lighting fixtures and took out the old towel racks and replaced it with brushed nickel finish ones. We also had the tub re-enameled last Spring/Summer. The windows in here as in the whole first floor have been replaced with double-pane insulated windows. 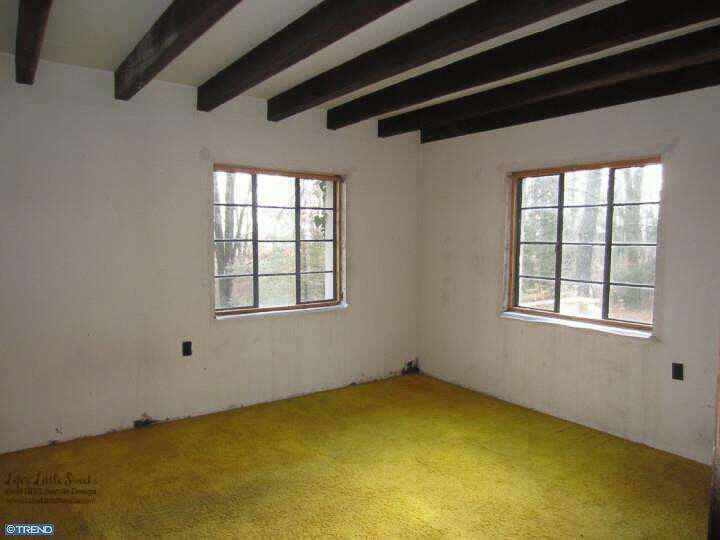 Check out that old goldenrod yellow shag carpet! One of these days I’ll do a posts on the bedrooms, they are very nice now after all the work that was done. They also look completely different than these pictures! 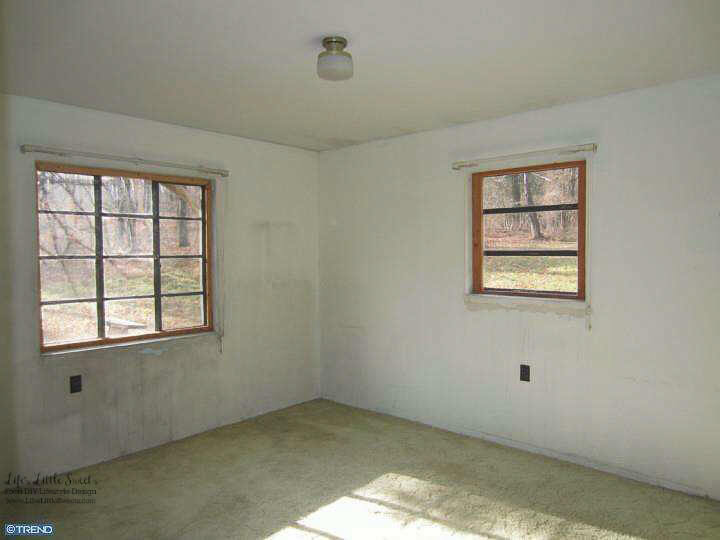 This bedroom is where the original owners, the parents, had. We use it as a guest bedroom. It’s now painted a Provencal blue and it’s a changed into a beautiful room with all the cosmetic changes but it started out in need of just about everything much like the bedrooms above. Unfinished 2nd floor room, potential future studio, bedroom or anything! Moving onto the unfinished 2nd floor, we use the space like an attic because we can’t use it as habitable space until we get a new heating system. It would be nice to have an office, a playroom or another guest bedroom here. 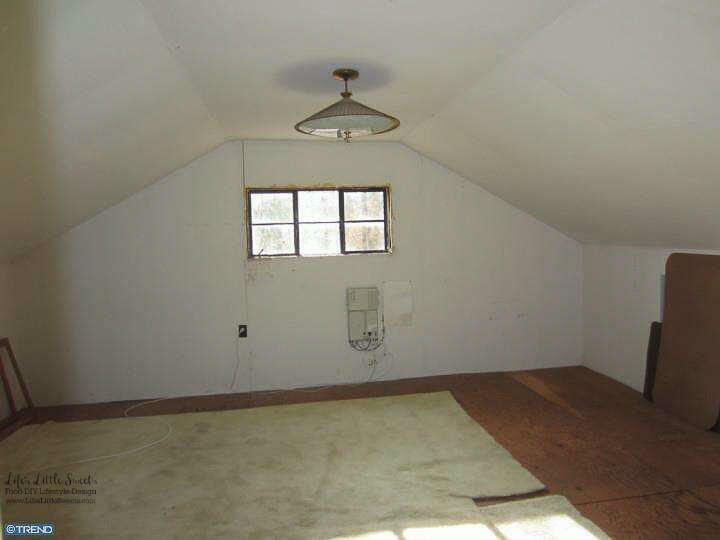 There are 4 rooms, plus closet space and we think it would be nice to also have another bathroom installed up there. 2nd floor bedroom, potential future office, bedroom or play room. We store our stuff that we don’t use up where but it would be so nice to use all that space and live in it, so we have that to look forward to. 2nd floor room, potential future office or guest bedroom. I have since painted this middle room light yellow and the ceiling a light blue. I think it was the original owner’s home office. It thought it would be cool to have as an office or another bedroom. ?I did a post that shows a hiking trail that Eric cleared last year (in 2016). Tell me your renovation stories! Let me know in the comments below!